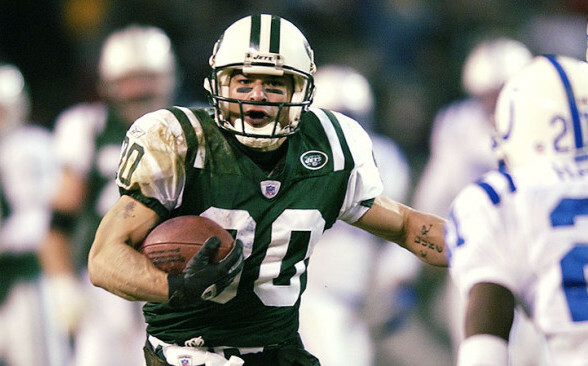 New York Jets fan favorite, Wayne Chrebet was born August 14, 1973 and was a star wide receiver in college at Hofstra and then 11 seasons for the New York Jets from 1995 to 2005. 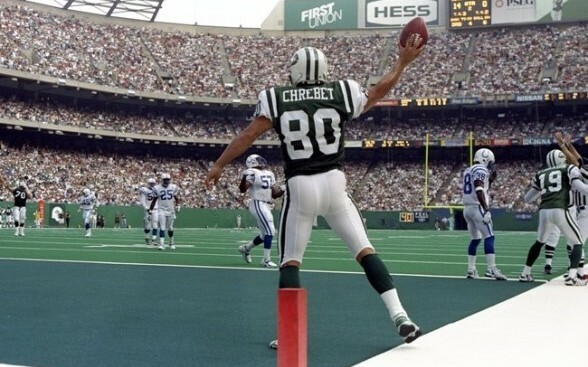 Chrebet was not drafted by any team at the National Football League Draft in 1995. 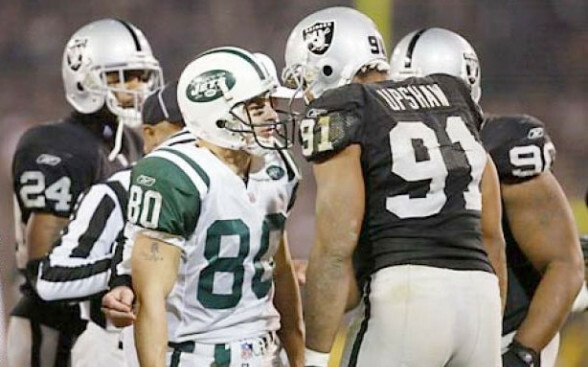 Chrebet eventually earned a walk-on opportunity with the New York Jets where he was 11th of 11 on the depth chart. 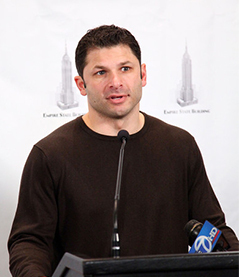 In 2004, Chrebet’s was named one of the greatest rags-to-riches stories in the history of professional sports by Sports Illustrated later that year. 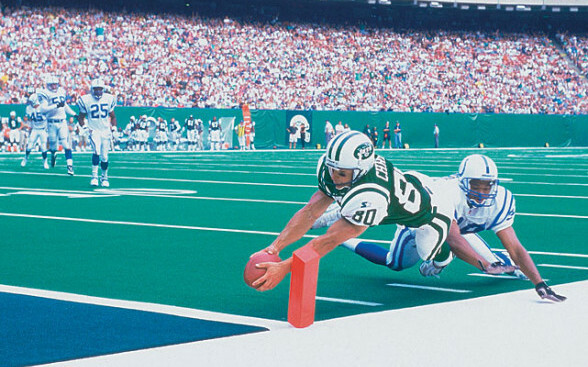 Chrebet’s 580 receptions ranks him 2nd and his 7,365 yards from scrimmage place him 5th all-time in the New York Jets record books. 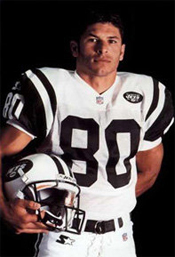 Chrebet wore the New York Jet number 80 jersey for 11 straight seasons. During his career, he caught passes from 13 different players, played for several different head coaches, and worked for two different owners. 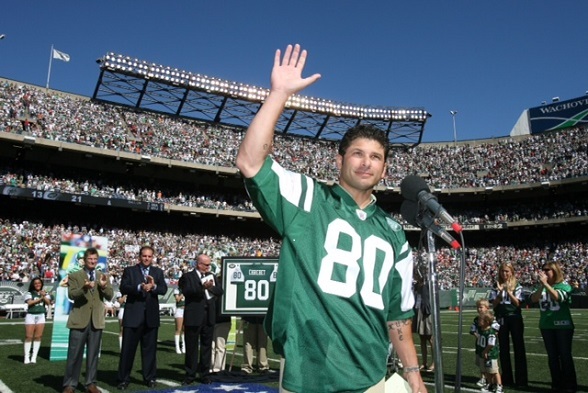 Chrebet was formally honored by the New York Jets on “Wayne Chrebet Day” during halftime of the September 23rd, 2007 game against the Miami Dolphins. After his 10 year career on the field, Wayne is now available for corporate appearances, motivational speaking engagements, VIP meet and greets, autograph signings, football camps, product endorsements and more. Now you can hire Jet great Wayne Chrebet to meet and mingle with your best customers, clients and employees. Find out Wayne Chrebet speaker fees, contact Wayne Chrebet’s agent, view upcoming Wayne Chrebet speaking engagements, read about Wayne Chrebet endorsements and find out about upcoming autograph signings appearances. Watch Wayne and Joe Namath surprise a NYC firefighter father on Good Morning America. Call us at 1.888.246.7141 or fill out the online booking form.